How to get that honeymoon feeling back! 8 tips to rekindle the flame. How to get that honeymoon feeling back! 8 tips to rekindle the flame. How to get that honeymoon feeling back! 8 tips to rekindle the flame. Want to get that honeymoon feeling back? 1. Look into each other eyes. Life can be hectic and we don’t often make the time to have that meaningful connection that we once had when we could truly bask in each other’s presence. Taking the time to gaze into your partner’s eyes is a refreshing reminder, “Oh, it’s you! Where have you been all this time?” The deep intimate connection you can instantly experience by looking into each other’s eyes will surely reignite the flame of a seemingly stale relationship. 2. Travel. Create a sense of adventure and excitement in your relationship by visiting new places together. Take a break from your surroundings and experience the possibility that you can live in a completely new reality. Traveling is a great way to recharge your relationship. Besides providing much needed time away, it returns you refreshed and invigorated and hopeful that you can establish new patterns that avoid you from getting sucked back into the humdrum of everyday living. You need not travel across the ocean. Even a short overnight trip will do the job. 3. Revisit a place where you used to date. Revisiting a physical place where you have fond memories is another way to return back to the time where you once felt the spark in your relationship. By returning to that place and remembering those positive experiences, you can actually relive in your mind and heart what happened. 4. Take a class together. Besides spending time together, learning something new is a great way to liven up a relationship. When the brain learns something new, it not only creates new neural pathways, it also brings about more joy and excitement. Now, do it together with your spouse and the positive energy is compounded. It also provides a fresh new experience that you can share together. 5. Go out to dinner. Even if a vacation is not always feasible, treat each other to a special dinner out of the house. Go to your favorite restaurant and enjoy each other’s company. Especially for couples with small kids, it is nice to have a break where you can feel like lovers and not just parents. 6. Celebrate your spouse. Make the time to really show your spouse how great you think they are. More than just an appreciation, flood them with positive energy and enthusiasm. I often have couples do the flooding exercise where they encircle their spouse and profess their admiration. The admiring spouse shares three physical characteristics, three behaviors, and three qualities they like about their spouse. They face their spouse, who is sitting down, share one item, encircle their spouse and continue the process until they are finished. With each successive comment they raise their voice and excitement level. They then shout out a global affirmation of why they love their spouse so much. This exercise really changes the energy in the room and the relationship and allows the spouse on the receiving end to truly feel cherished. We perform flooding in our couples retreat and it is truly a favorite! 7. Surprises. Surprises are a great way to liven up a relationship and interrupt the monotony. It is often the unexpected, not the actual action, that can reinfuse the passion and anticipation we so often crave. It could be something as simple as surprising your spouse at work and taking him/her out for a cup of coffee that can create the thrill that once swept you off your feet. 8. Appreciations. The light of appreciation can push away a lot of darkness in a relationship. Once couples start sharing what is good about each other on a regular basis, they begin to shift their attention to what’s right about their marriage and begin to see more and more good. Resentment dissipates and love intensifies. Taking a few minutes every day to share what you appreciate and why will do wonders for you relationship. Doing even just 1 of these per week will add so much to your relationship. We like to have 4 to 1 positive to negative interactions all all times. 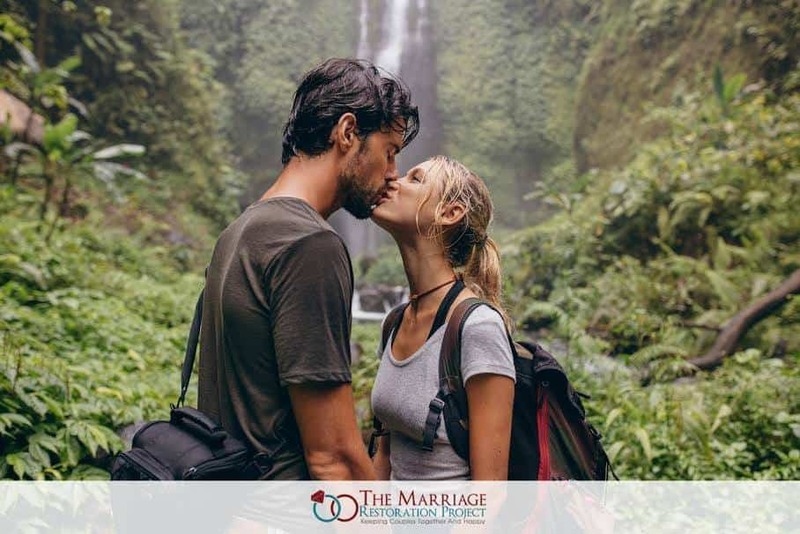 If you need some help with rekindling the flame and reigniting romance into your marriage, talk with us about our 2 Day Private Marriage Restoration Retreat. It’s the fastest way to get you to love and trust again, as the hope it provides is truly real. Because we’ve already created the structure for you and your partner to succeed, the resistance to change melts away and finally you can be heard and validated more deeply than ever before. Talk with us today about the 2 Day Marriage Restoration Retreat. Your family needs you to take action!